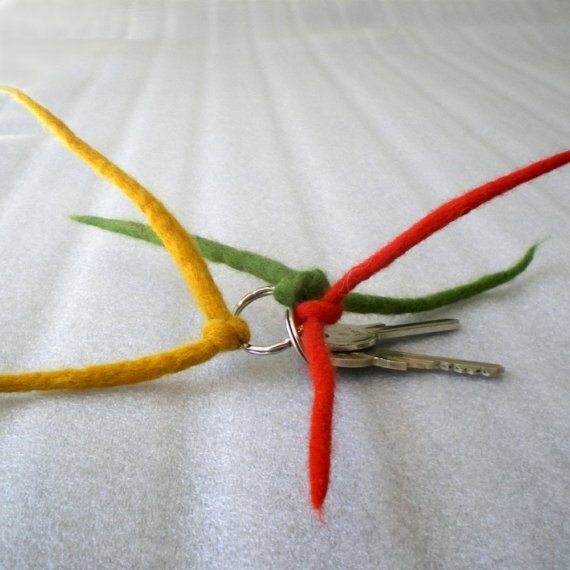 Playful and colourful red hot chili peppers now also for your keys. 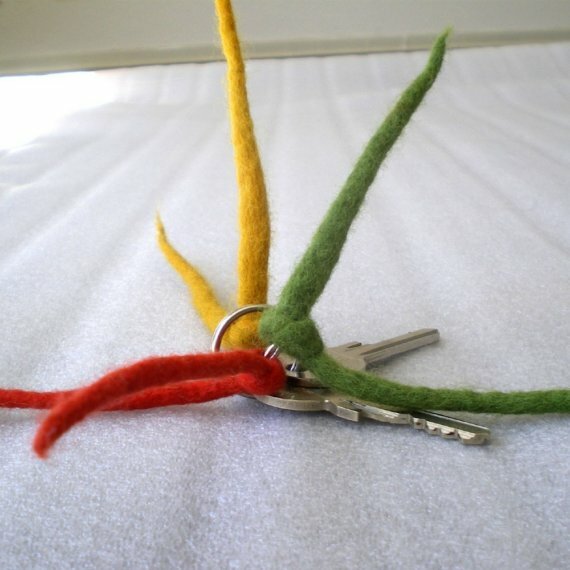 They are felted with merino wool from New Zealand and attached together with a metallic key ring. It is the perfect solution not to search for your keys in your purse and moreover a practical and stylish piece of handicraft work! Available in any colour of your choice! 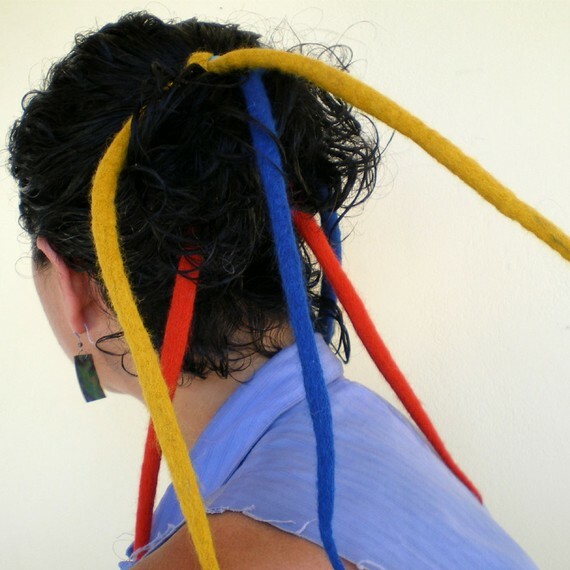 Playful and colourful red hot chili peppers for your hair. 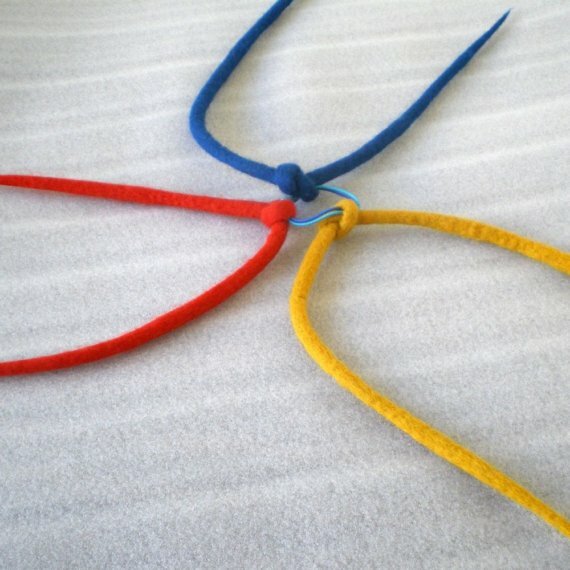 They are felted with merino wool from New Zealand and attached together with an elastic hair band. Suitable for every occasion that you don’t want to pass by unnoticed. At least one of ten people on the street will stop to ask you (has happened to me many times). Approximate length of each part 35 cm ( 13.8 in). Women find them cute and sweet and children adore them.